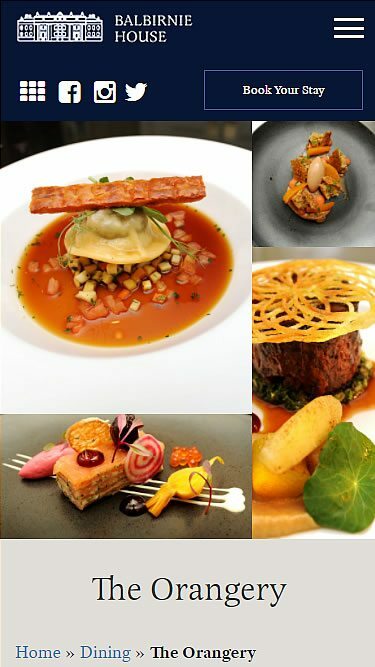 We worked with the wonderful staff at Balbirnie, an award-winning luxury country house hotel, to produce a beautiful website that showcases the stunning hotel and its first class dining experience. 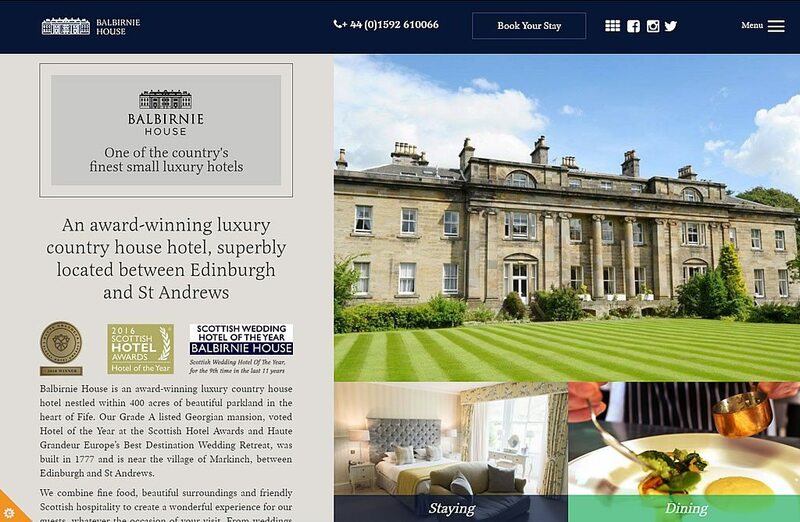 The aim of the brief was to come up with a web design that allows Balbirnie to show off as much of their stunning imagery as possible on the website. We created a design that dedicates more than half of the space to their imagery. 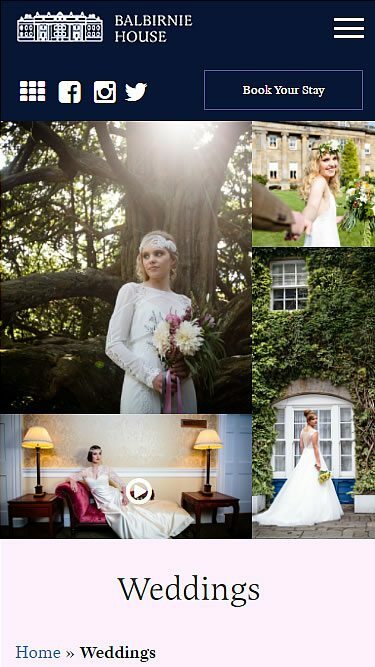 In order to do so we spent time looking at the information required on the site and streamlining the content to create a straightforward easy to use site. 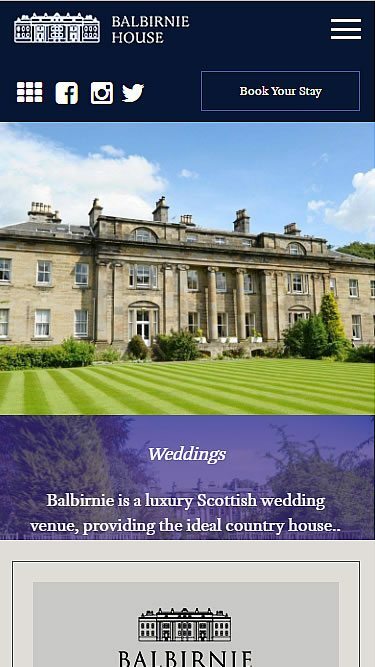 The site is fully responsive, designed mobile first and has a WordPress content management system allowing the Balbirnie staff to update every element of the website. It integrates with 3rd party reservation and CRM systems.